Over the years, style icon Sonam Kapoor has tried on different fashion avatars with ease. Rachel Zoe said, “Style is a way to say who you are without having to speak,” and she couldn’t be more right. For the ideal Luxemi girl, getting dressed every morning is not a chore — it’s her way to use what’s on her back to make a statement about what’s on her mind! So go on, let the world know who you are, by choosing an outfit that tells your story and says something about your sartorial sensibilities in the process. With that in mind, we put together a fun guide for Indian wear based on your signature style (or your fashion mood! )— feel free to pick your side! What: Blue Chiffon Saree with Aqua Sequins. 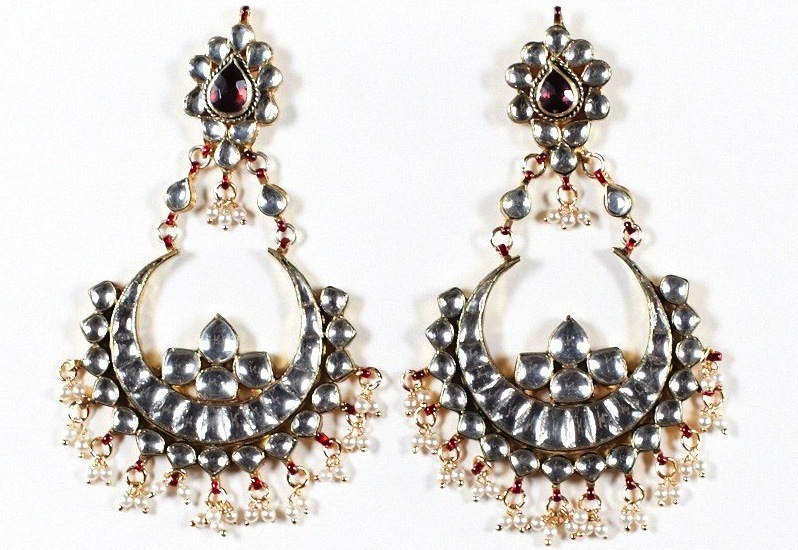 This incredibly glitzy piece is a no-brainer. Wear it to when you want to turn heads as the most fashionable lady in the room. Wear it with: Luxemi’s Silver Brocade Blouse by Wild Orchid for a complementing contrast. 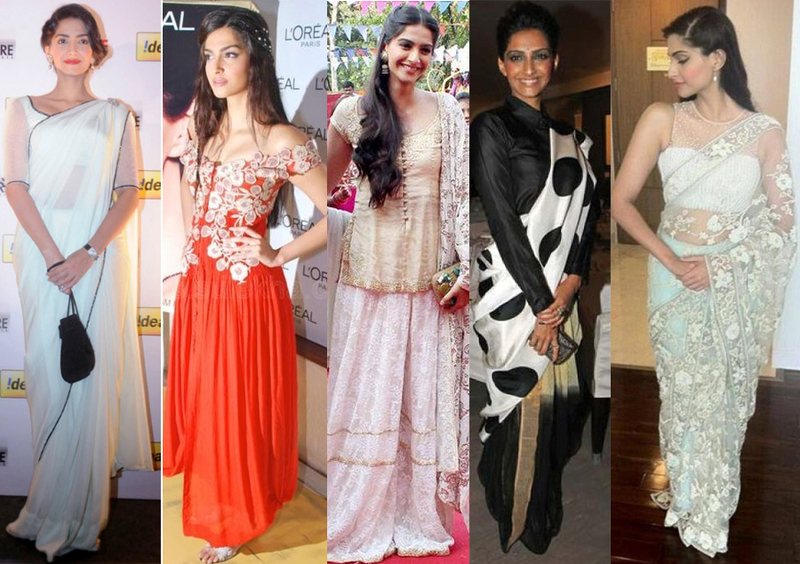 Bollywood fashion is synonymous with catchy colors and dramatic overtones. And what better than this fetching Nikasha outfit to nail the look! Wear it with: Statement earrings and hair worn loose. We suggest you skip the necklace this time around. This monochrome Satya Paul pick is the epitome of effortless modern-day city girl style and promises a refined look. 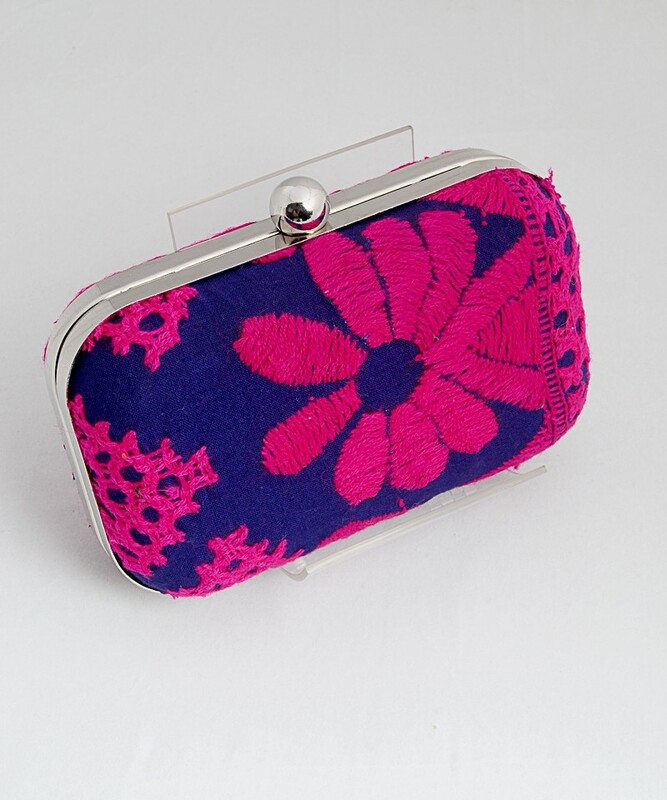 Wear it with: This Navy Blue and Magenta Embroidered Flower Clutch by 5 Elements for a colorful reprieve. Look no further for an ensemble that provides a simple and pared down look with a luxe touch. Wear it with: A simple chained headpiece is all you need. The trick is to grab attention without trying too hard. 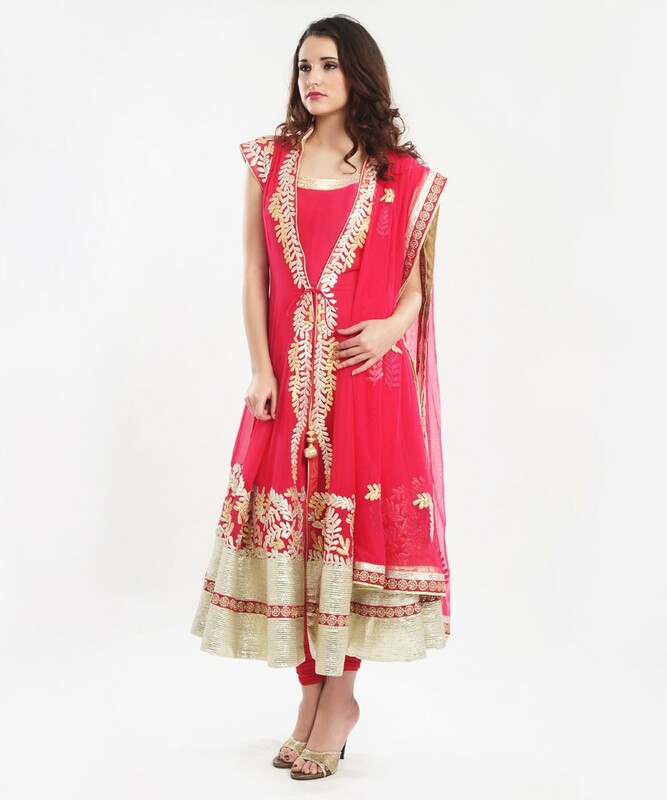 With its utterly feminine hue, flattering silhouette and dash of playfulness; playing the desi Barbie just got easier. Wear it with: A traditional bracelet and dewy make-up. Ensure that the focus remains on the outfit. 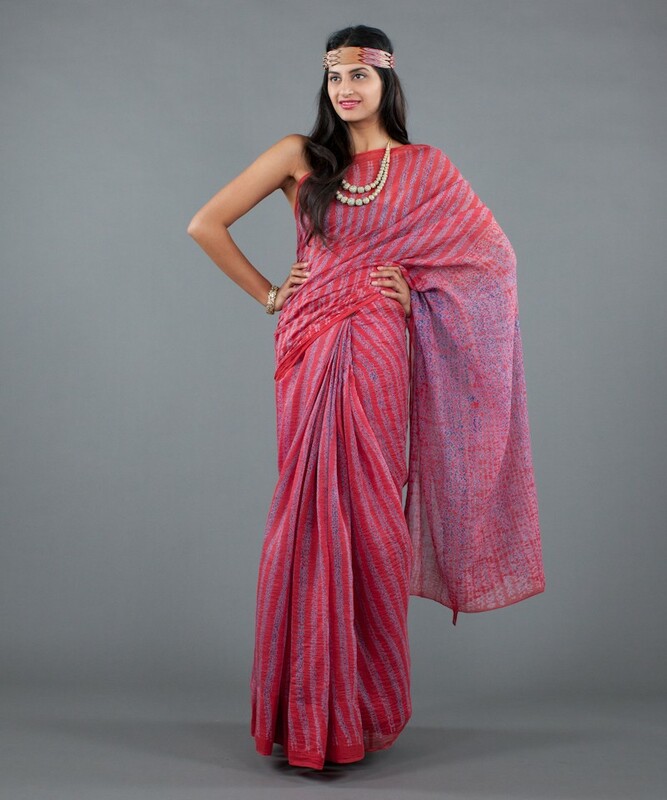 Flaunt your love for the bohemian way of life with this vibrant saree and its irreverent charm. Wear it with: Layered necklaces, a statement-making headband and soft braids. Peace out! So go on, be whoever you want to be today. As long as you keep it stylish, it’s all good.